Stanley Watson, Jr. is a native of Norfolk, VA. He has received national exposure through radio and print such as being interviewed by George Houston of Blessed Lifestyle magazine and hosted his own radio program on WPCE 1350 AM. He also made the Nielson BDS charts in 2009, which has been proclaimed as “the leading supplier of performance monitoring” by Musicrypt. Mr. Watson’s gospel music ministry includes thus far, two releases which are “Jesus Is Real” (2006) and “I Am A New Creature” (2010). Mr. Watson also has collaborated with Jurnee Productions based out of Orlando, Florida, headed by CEO Mr. Joe Woodard, for the company’s “Inspiration Celebration” series. During this time, Mr. Watson has shared the stage with some of the gospel music industry’s leading artists including Smokie Norful, Deitrick Haddon and Vicki Winans. 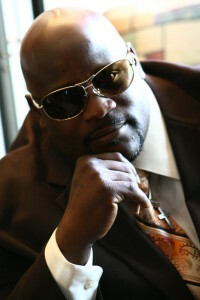 In 2010, Mr. Watson was invited to the 96.3 KISS FM’S Family Reunion Gospel Showcase in Augusta, Georgia. For the showcase, he shared the stage with James Fortune and FIYA as well as others. Stanley has also taken his God-given talents beyond music. He has modeled for Phillip Michaels Fashion for Men and has had acting roles in theatre (No Money, No Love; God’s Trombones) and T.V (The 700 Club). Stanley is affiliated and registered with BMI as a Composer/Writer /Publisher, producing songs of praise and worship. HIT THE STREETS ON JULY 9, 2013! !